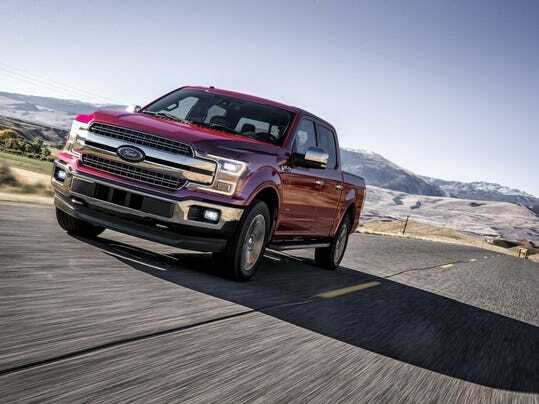 Ford Motor Co. expects its F-150 production will be in full swing again by Monday after a fire at a supplier plant brought production of the crucial truck to a standstill last week. Ford will resume some F-150 production Friday at the Dearborn Truck Plant, with Kansas City expected to follow on Monday. Ford is hosting an employee drive of the new 3.0L Diesel equipped F150. Drove it yesterday. Here is a short review. at start up you literally can't tell it was a Diesel (inside cab), even when listening for it. Part of that may be that I was in a King Ranch which isolates the entire world quite effectively. Revving the engine a bit, you can just barely detect it is. Accelerating briskly from stop, it not only feels much quicker out of the hole than I thought, perhaps a match for 2.7L, but you still can barely detect it's a Diesel. Cruising at about 40 and then again at 50, I hit WOT and the story changes a bit, and does not feel as brisk or rapid as the 2.7L. But certainly not bad at all. Highway cruising at 75mph, there is not engine sound at all. You can literally wisper to you passengers and they will hear you. Hitting WOT again, passing gear(s) kicks in and it moves out adequately. You rarely feel wanting more, but you can't help but compare it to gas engines, which feel a bit more urgent is all. There are many ways to compare said vehicle, but I have to say, that KR I drove was just gorgeous. Best looking truck on the market, bar none. Certainly more handsome than GM's latest efforts, IMHO, although GM will have the upper hand on a few things. Not enough to sway me however, as that Ford drove, steered, handled, looked and felt excellent. Would I get the Diesel option? No I would not, because I rarely tow, and that benefit would hardly be realized for me, as I wait to recover my added expense through gas savings. Adding another thought I forgot, was that I was surprised to see the engine itself on an engine stand (finally) and I was surprised at how tiny it was. We are talking nano 2.7L V6 size, complete with 60 deg banking. This thing weighs very little (need to look it up), but I know that helps contribute to is deft feeling with parking lot maneuvers as well as just handling. When I can, unless someone else wants to take on the task, I was going to compare weights with Ram EcoDiesel. wingsnut and Logans Run like this. wingsnut and Andrew L like this. Last edited by 2b2; 05-17-2018 at 04:35 PM.